Reminiscent of the centuries-old Christkindlesmarkt of Nüremberg, Germany, the 22nd annual Old World Christmas Market at The Osthoff Resort offers the warmth and merriment of this Old World tradition. The Osthoff Resort's Old World Christmas Market was voted #1 Best Holiday Market by USA Today's Readers' Choice 2018! For ten consecutive days, guests stroll the aisles of a grand heated tent bedecked with fragrant boughs of fresh evergreens and the tantalizing scents of roasted almonds and Nüremberg bratwurst as they browse for unique and specialty items among international and regional artisans. Czech blown-glass ornaments, Russian nesting dolls, German hand-carved smokers and nutcrackers, fine apparel, handmade amber and silver jewelry, Turkish pashmina scarves and shawls, stained glass art, Russian hand-painted Santas, fresh green wreaths, kissing balls and centerpieces, alpaca products, Estonia woolens, fine chocolates, Plauen lace, fine woodwork, fur products and much more! The Old World Food Court offers shoppers space to relax and enjoy delectable German fare, such as, Nüremberg bratwurst, hot glühwein, sauerbraten, dumplings, schnitzel, potato pancakes, red cabbage, pulled pork and apple strudel. Father Christmas, the venerable old gentleman in his berry red, fur-trimmed suit, roams the market merrily greeting children of all ages. So be sure to bring along your camera for some memorable photo opportunities. 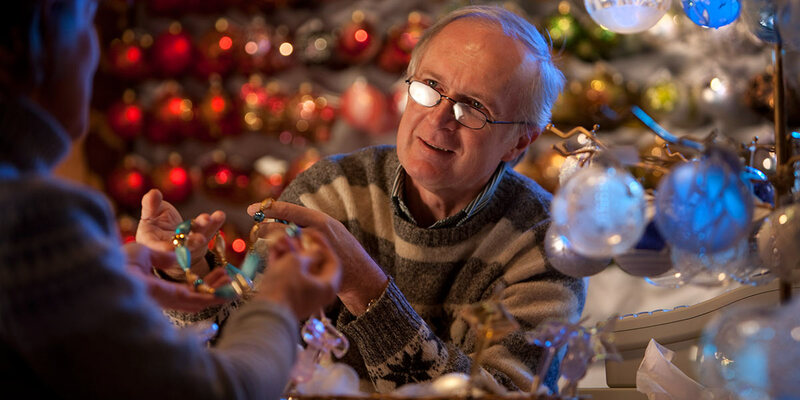 The 2019 Old World Christmas Market is open daily from 10 AM - 5 PM, December 6 -15, 2019. Admission is $7 per adult, children 14 and under are complimentary with an adult ticketholder. Discounted ticket prices for groups of 20 or more are available. For more information, please call (877)517-4596.